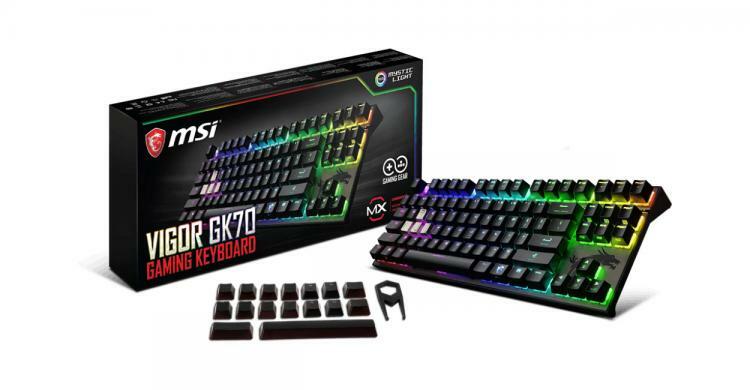 MSI reveals its newest additions to its line-up of gaming keyboards – the Vigor GK80 and GK70 mechanical gaming keyboards. Both feature RGB illumination powered by MSI Mystic Light. The keyboards feature a premium base made of anodized aluminium alloy to give it a sturdy and solid structure. It also has replaceable keycaps with rubberized finish and four gaming-oriented metal keys for WASD keys. The new gaming keyboards also use Cherry MX RGB LED switches. 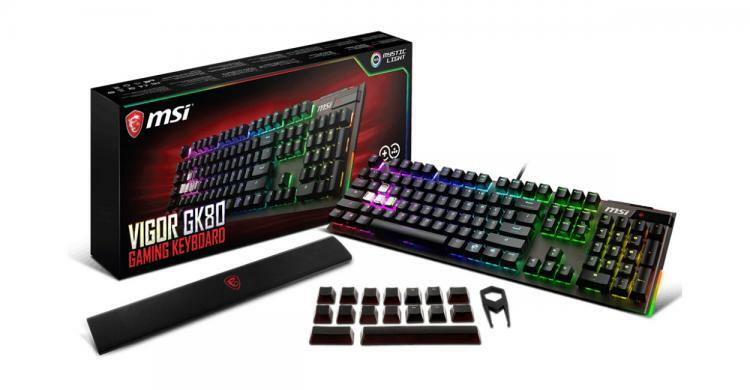 The MSI Vigor GK80 packs all the necessary features for a high-end mechanical gaming keyboard such as a sturdy base, the proven quality of Cherry MX Switches, plus the allure of RGB Mystic Light. It features additional keycaps for improved gaming experience and dedicated media keys for on-the-fly media controls. The pass-through USB port on the back of the keyboard is perfect for connecting other peripherals like mouse or headset. 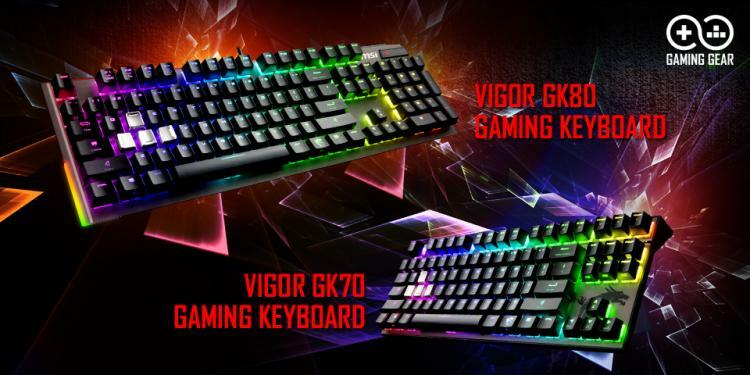 The Vigor GK70 features a compact tenkeyless layout with a clean-cut metallic design without compromising any of the premium features like the larger Vigor GK80. It also comes equipped with Cherry MX Switches, solid aluminium solid base, and RGB Mystic Light Sync.